Electric tools like drills, circular saws and so on, electric home-tools, motors or transportable generators in construction sites or agricultural plants and so on. It can be used even in fixed laying like floors and temporary construction site set offs. Ozone resistant OIL RESISTANT EN 60811-2-1. 100mt. rings in thermoplastic film or drums to agree. 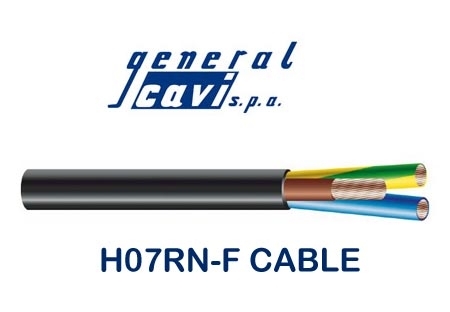 Cables can be used up to +85°C (for fixed protected installations) OZONE RESISTANT" according to the standards CEI EN 60811-2-1 (Test method A) and CEI EN 50396 (Test method B). Please enter your contact details and send enquiry about this product. We will contact you as soon as possible. Al Siraj Electricals is one of the well reputed trading companies in Doha, having long experience / experts within our establishment, dedicated to provide the high quality service for the electrical market. Copyright 2015-2016 Alsiraj - All rights reserved.